" Moti kitni moti hain , Din bhar khati hain , Rat bhar soti hain , Weight badhaa toh kyun roti hain ? ", is our very first reaction when we encounter any fat person , especially a lady. We usually associate weight gain to over eating and post-pregnancy. So when we start getting heavier , our first concern is our diet. Even though we are hungry, we avoid food , in order to stop weight gain. This misconception seriously affects our health. The major symptom of Thyroid is Thyroweight (weight gain and lethargy), which should be medically checked and attended to immediately without further delay. However, facts show, thyroweight and other common symptoms like hair fall, fatigue, dry skin get attributed to lifestyle changes and often neglected.
" Look at her neck ,seems like she is not eating Iodized TV-Namak ", we school students used to murmur among ourselves. Yes, we grew up watching that TV advertisement, learning our two bits about Thyroid from it. 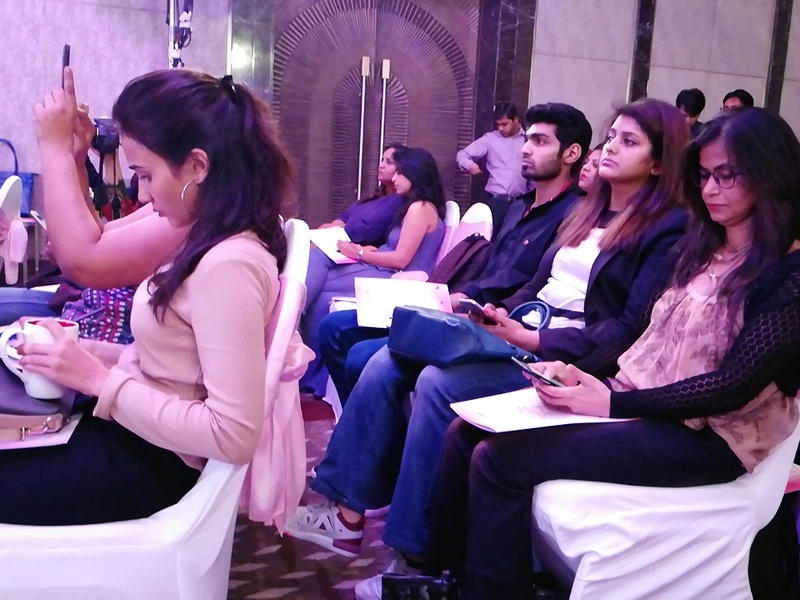 On this hazy background we bloggers were eager to participate in the Thyroid Awareness Program , to #ruleoutThyroweight , to know more about Thyroid from Thyroid expert Dr.ShehlaShaikh . #ruleoutThyroweightbloggers meet turned out to be an interesting and informative session to know the Medical facts and rule out the myths about Thyroid Disorder. First and foremost, It's important to do regular medical check up and take medical help if required. Every woman who suffer from thyroid disorder, takes the pill and works hard for family is a super hero. Thyroid symptoms are treatable if you take care of yourself. We women must take care of ourselves and give priority to our health. We must always be healthy to look after our family's well being. A small pill, early morning, keeps thyroid disorder in check and #ruleoutThyroweight. The socially active actor JuhiChawla, the ambassador for thyroid awareness campaign narrated her personal encounter with Thyroid Disorder. Juhi'shusband , her father-in-law, who are Thyroid positive and still lead active life with the help of a single pill a day. Even her hair stylist is a Hypothyroid patient and with the regular medication doing her job effortlessly. 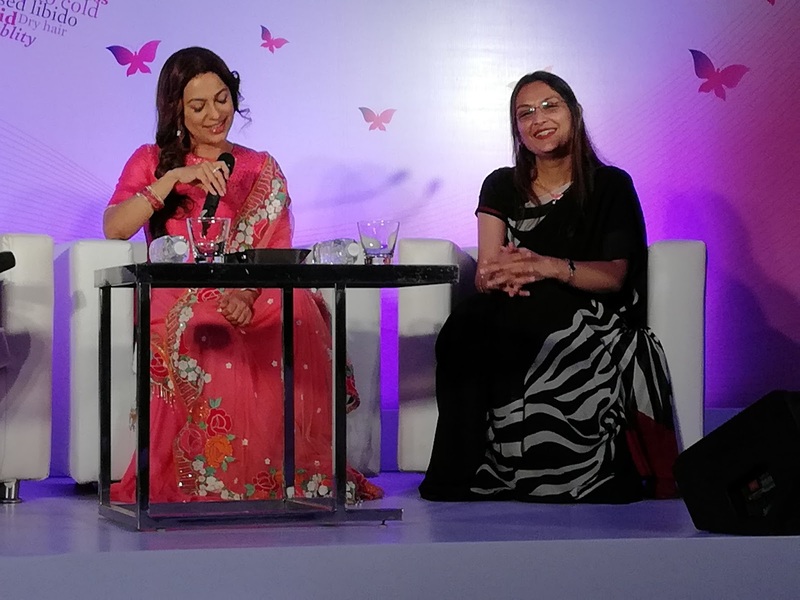 Juhi emphasized that both ladies and gents diagnosed of Thyroid disorder can enjoy life with simple medication and may #ruleoutThyroweight . My cousin Riya is aptly nicknamed Princess Rapunzel, She is a pretty, slim girl with lovely , long , silky hair, which she highlights with uber cool hair-styles. Few months ago, we met at a relative's wedding and shocked to see her looking dull, tired, overweight with mousy hair in a clumsy fish tail. Many of the senior relatives suggested home-remedies to her. Our another cousin Dr.SandhyaKadam , asked her few questions regarding her general health and prescribed some medical tests immediately. Dr.Sandhya's doubt proved right about Hypothyroid , so she referred a specialist to Riya. Since then Riya is taking the Thyroid pill regularly and improving gradually. I am sure , you will agree that Riya is my Super Hero . Dr.ShehlaShaikh acquainted us thoroughly with the medical facts and busted the myths about Thyroid. Weight gain, hair loss, fatigue, lethargy, dry hair, dry skin, memory loss, irritability decreased libido, swelling on face, sensitivity to cold, slow heart rate, constipation and menstrual irregularity are the common symptoms associated with Hypo-thyroidism. We must get medical tests done at the earliest to find out the root cause and start the right dose of pills as per doctor's prescription. We must not stop the pills midway. We should better our immunity with Yoga, meditation and exercising to decrease the thyroid-intensity. We should get consultation from doctor / nutritionist for daily diet. Calciferous vegetables like cabbage ,flower in excess quantity should be avoided. Thyroid medicine dosage sometimes have to be changed as per the seasons. We should consult the doctor at least once in three months for the proper pill-dose. Thyroid is an autoimmune deficiency where optimum number of thyroid hormones are not produced by the body. It is essential that patients take their medicines to keep it under control to #ruleoutThyroweight and don't stop it without consulting a doctor. Exercising, nutritious food and a healthy lifestyle are some of the preventive measures for all diseases including thyroid. Women are more prone to thyroid disorders as compared to men. Surely its been an every helpful and informative event, such awareness programs are much needed. I tooo got diagnosed with Thyroid last year and since then been reading up on everything I can lay my hands on. Nicely done Sunita - you covered all the major points here. An informative post, well written!